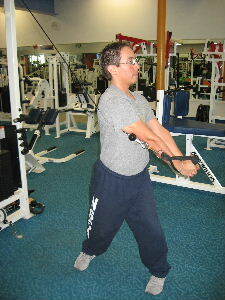 Cable chops or wood choppers are one of the best core strength exercises. Wood Choppers are also good functional training exercises for the core muscles. Functional training is simply a philosophy that says that the exercises that you include in your workout should prepare your body for everyday function and activity. Below are pictures for how to perform cable chops. Starting Position: Position the cable machine so that the resistance is over your head. Stand parallel to the machine with your feet facing forwards. Grip the handle with both hands. Form: While keeping your arms straight, rotate your body and chop your arms down towards the floor. Hold briefly at the bottom and then slowly return to the starting position. Core Strength Exercises should move your body through a large range of motion. The cable chop is just one example of a functional training exercise for your core. 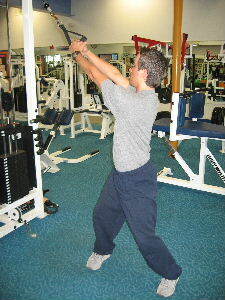 Cable Lifts are also a great functional training exercise. 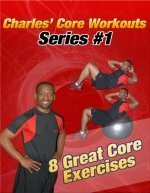 Visit the Directory of Abdominal and Core Exercises to learn More Core Strength Exercises and the Best Abdominal Exercises.